Britain’s mini heatwave saw the largest invasion of jellyfish to UK beaches in fifteen years – some as big as BIN LIDS. The army of barrel jellyfish were found washed up across the South West coast following the warm spell – which created a boom in plankton. 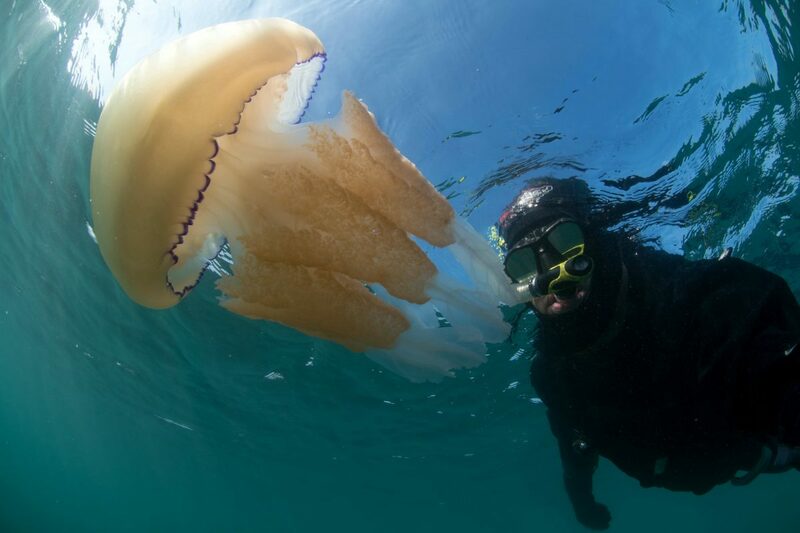 One marine enthusiast said he’d seen more of the creatures – the largest jellyfish found in UK seas – in the last three days than all of the previous 15 years. 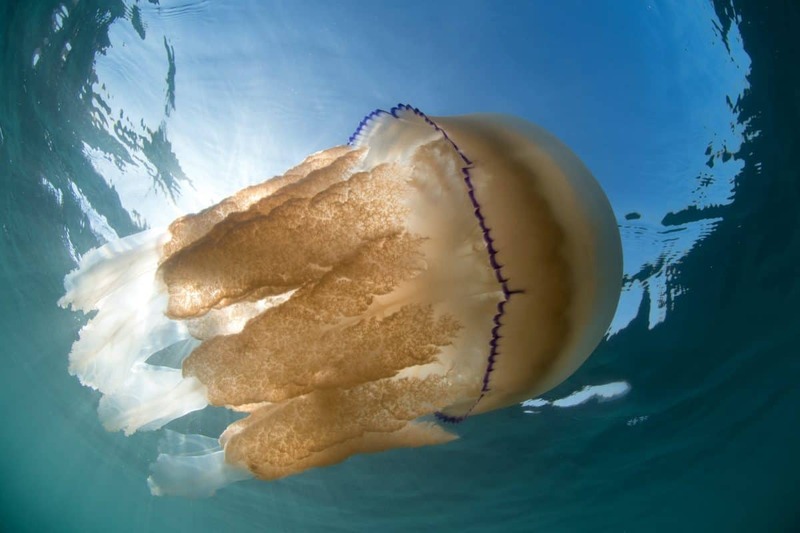 Rupert Kirkwood wrote on his blog, The Lone Kayaker: “There are more barrel jellyfish around the coast of SW England than I have ever seen in 15-plus years of sea kayaking. While it is common for large numbers of jellyfish to be spotted together, the size of the barrel jellys makes it a truly a spectacle, Rupert said. He believes there could be “millions” in our waters. 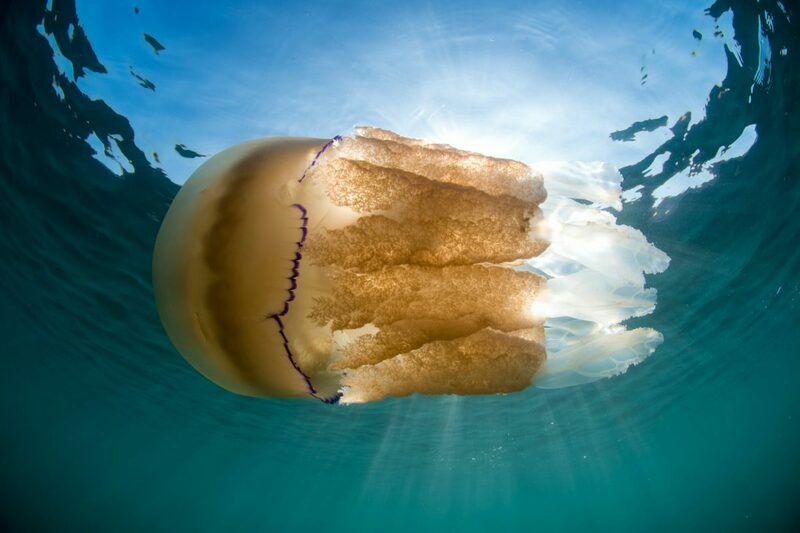 “As I paddle along I can see jellyfish beneath the surface up to about 10ft from my kayak, so I only see a tiny fraction of the vast numbers out there. Journalist Lee Trewhela posted images of three jellyfish on beaches on Cornwall’s Roseland peninsula last Friday. AK Wildlife Cruises, in Falmouth, also tweeted reports of seeing lots of “huge” Barrel Jellyfish offshore. Barrel jellyfish warm in warmer coastal waters in late spring and often wash up on our beaches in May or June, sometimes in their hundreds. They are the size of dustbin lids – giving them their other common name: Dustbin-lid Jellyfish. They are attracted inshore by plankton blooms which provide a plentiful supply of food. They have eight arms, each frilly in appearance. These frills actually contain their small stinging tentacles which surround hundreds of little mouths. However their sting is harmless to humans. 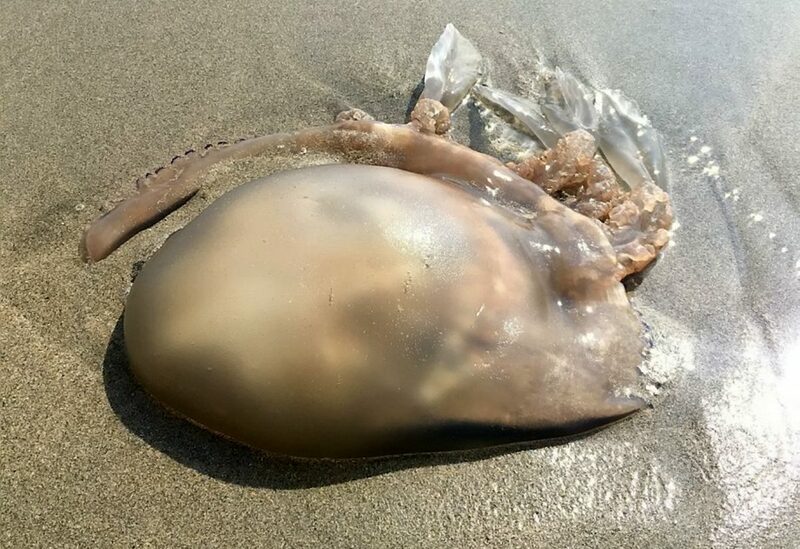 A member of Cornwall Marine Strandings Network told Cornwall Live it was “not uncommon” to see so many barrel jellyfish on the county’s beaches and its waters. We recently reported record numbers of invasive species from the tropics are washing up on British beaches by clinging themselves onto the vast amount of plastic marine litter.